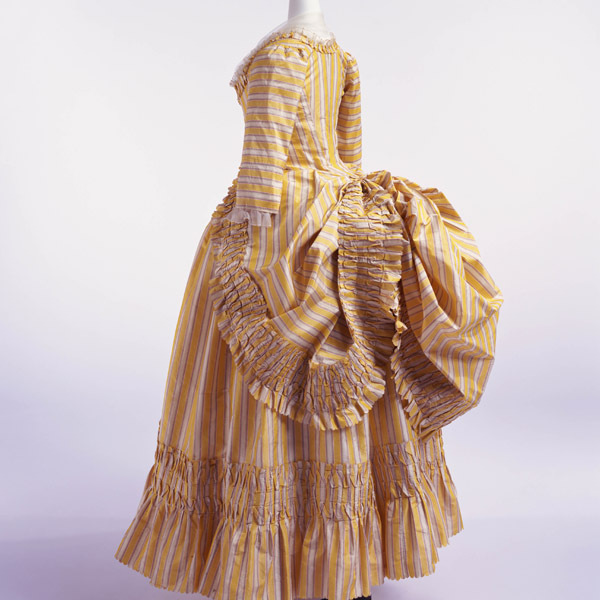 Green and yellow striped silk taffeta and satin with fringe. 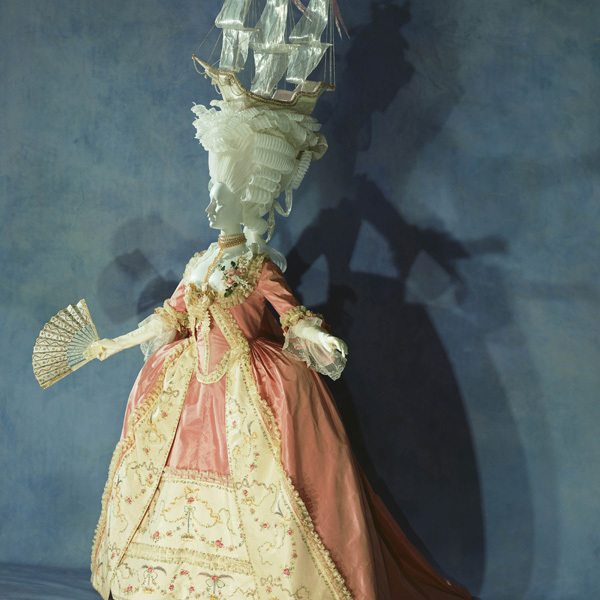 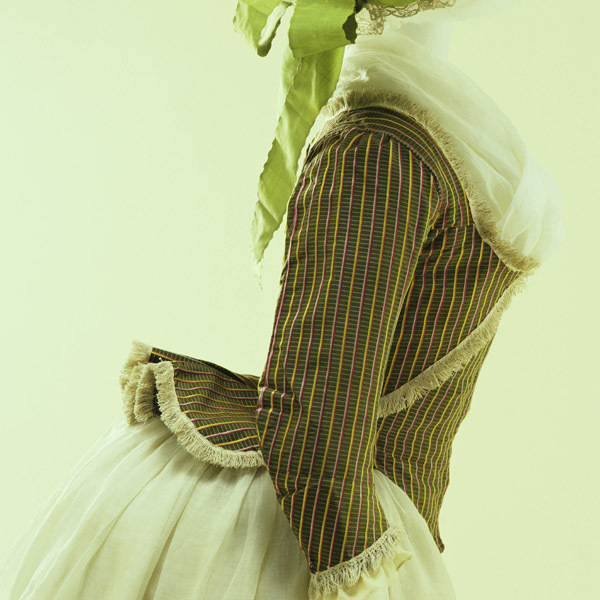 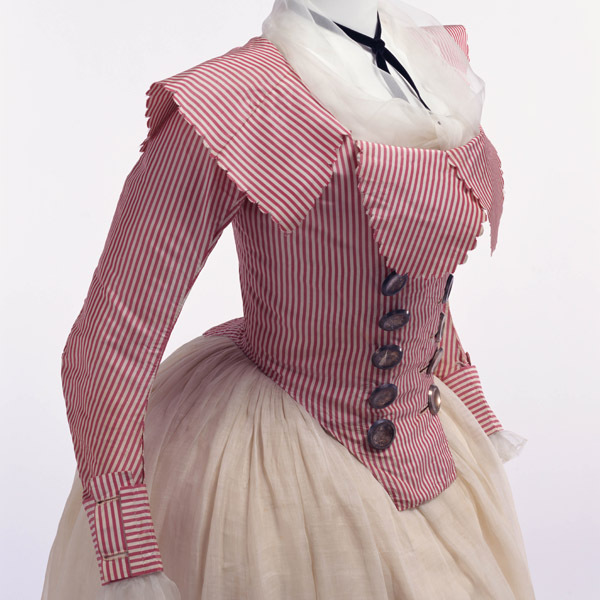 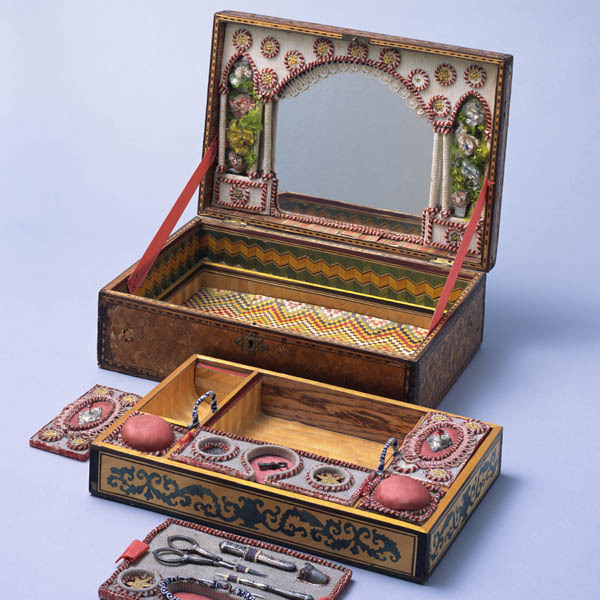 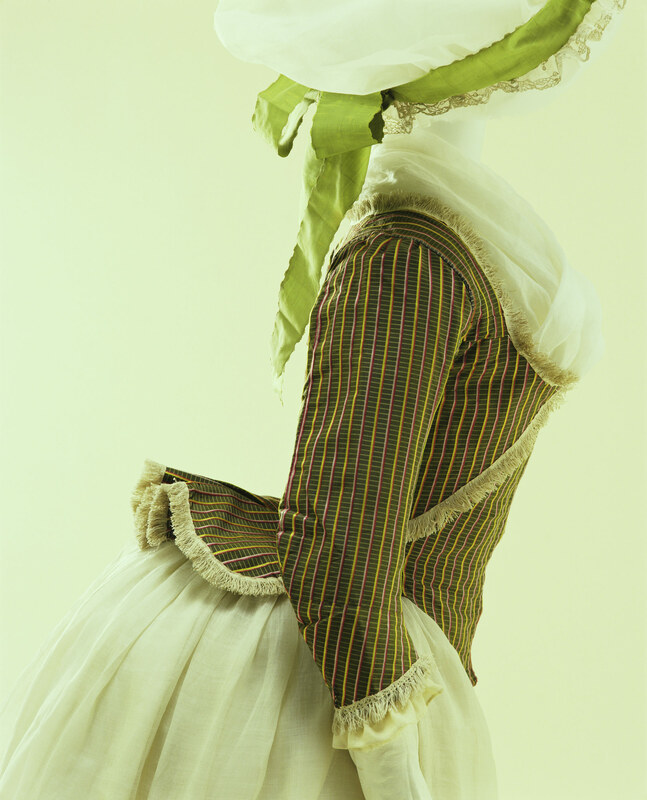 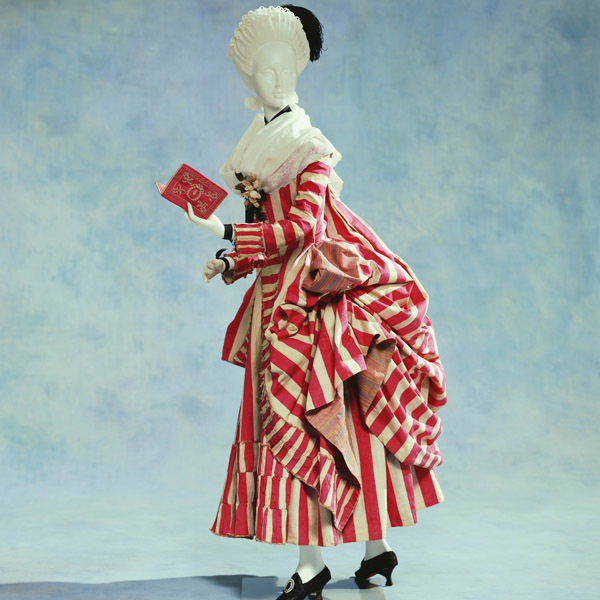 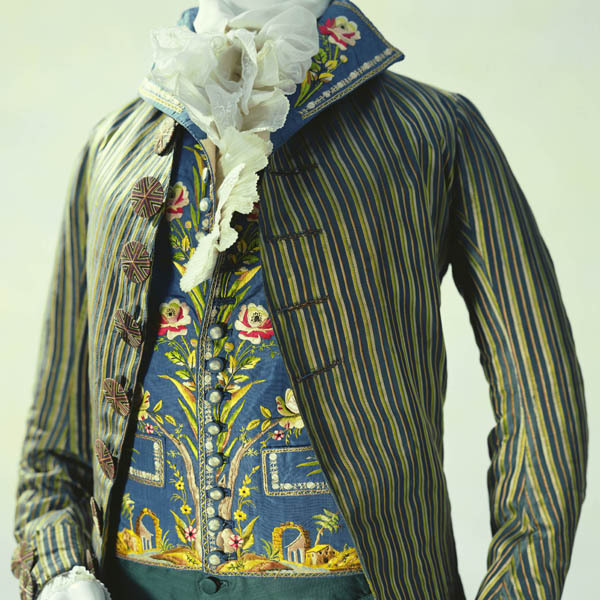 The "pierrot", a short fitted jacket with short tails, was popular from the mid-1780s through the 1790s. 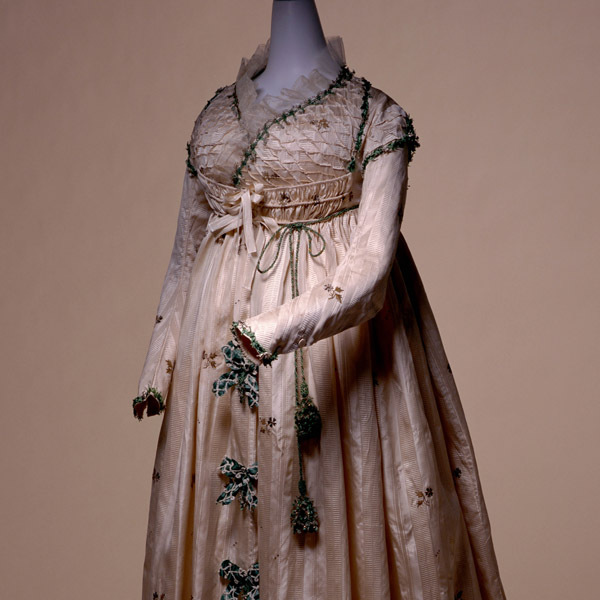 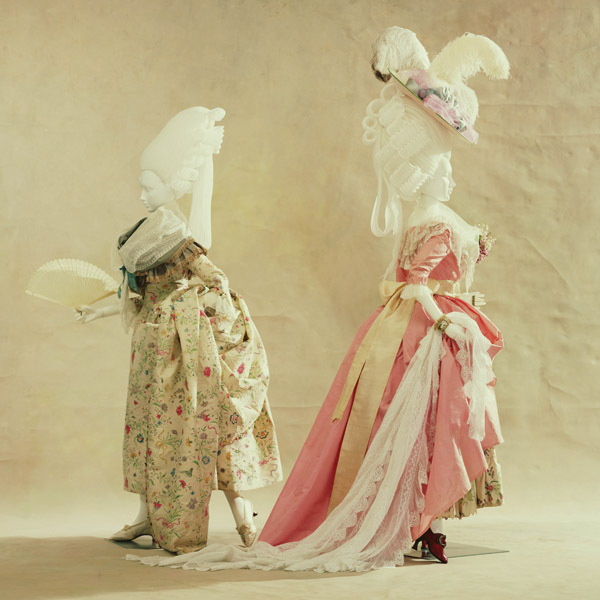 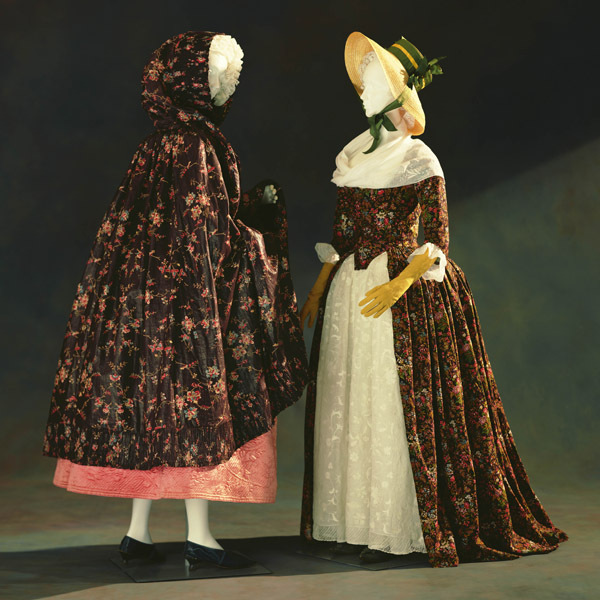 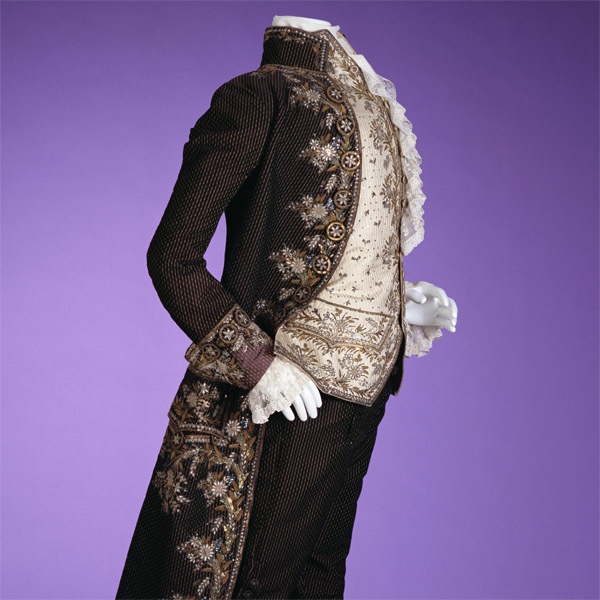 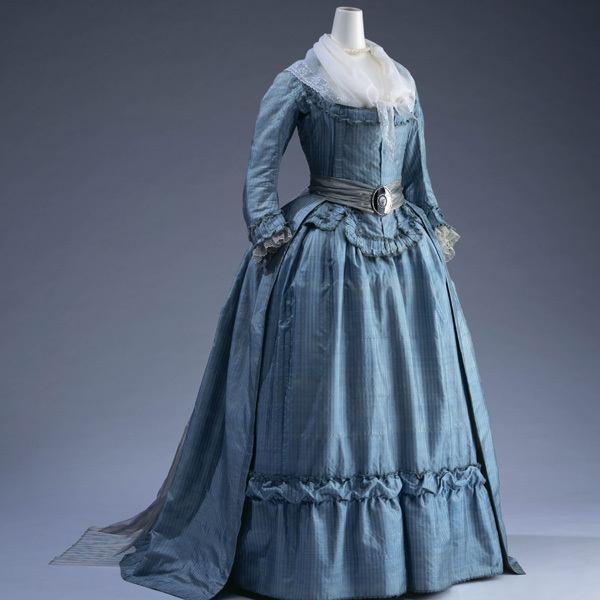 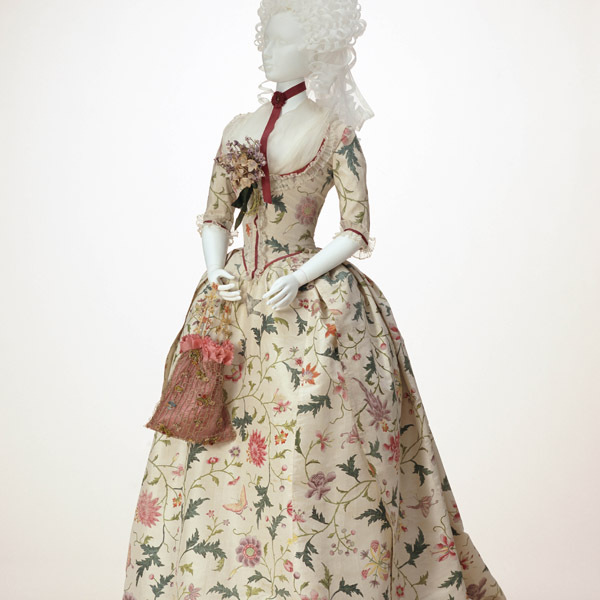 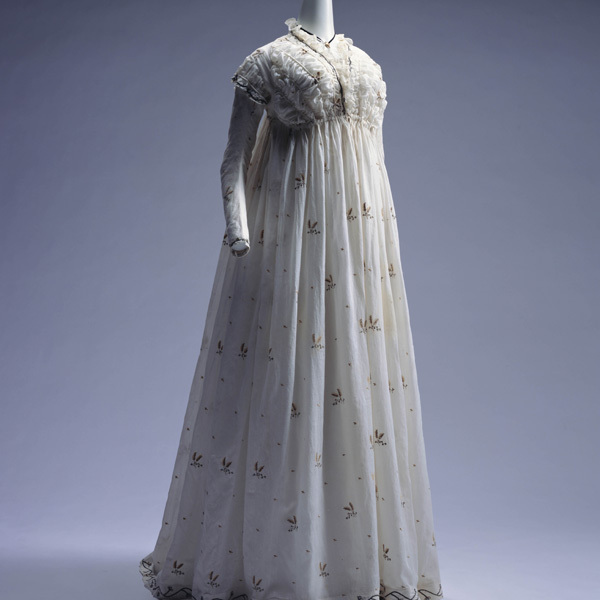 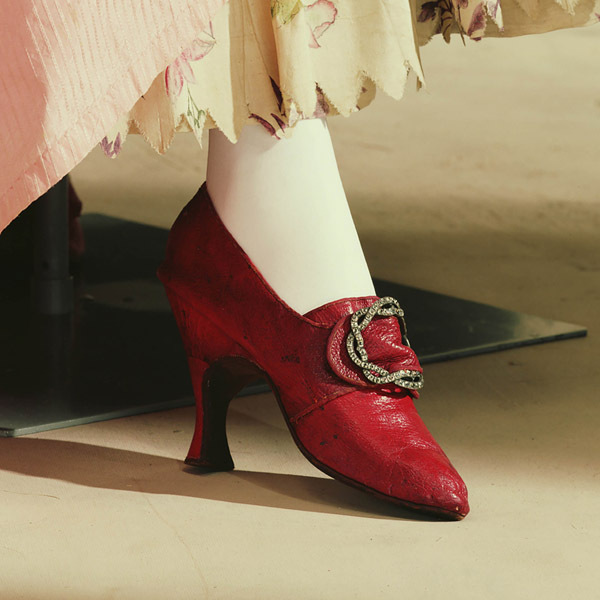 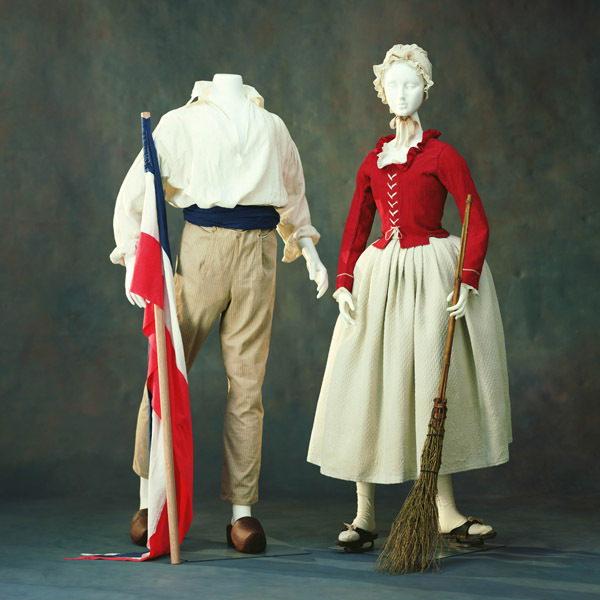 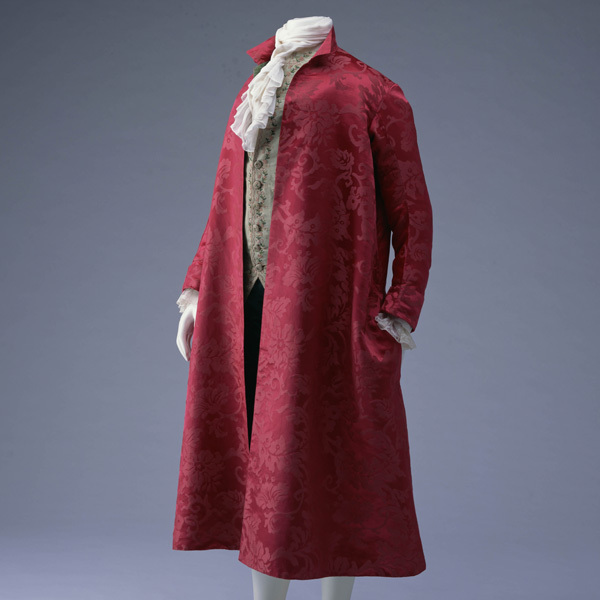 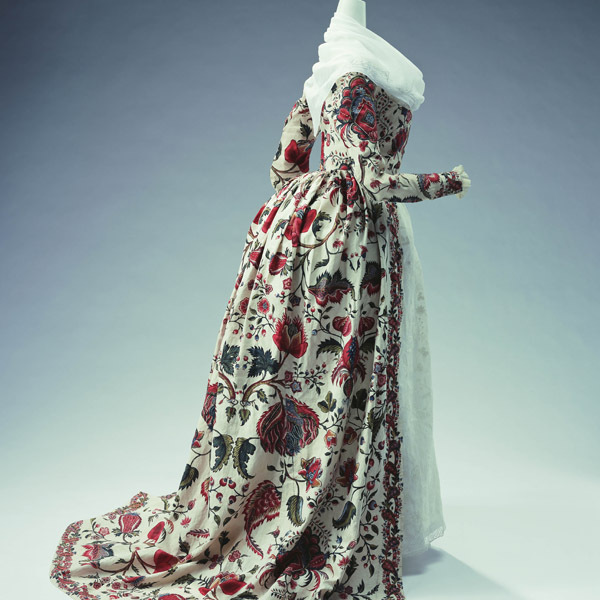 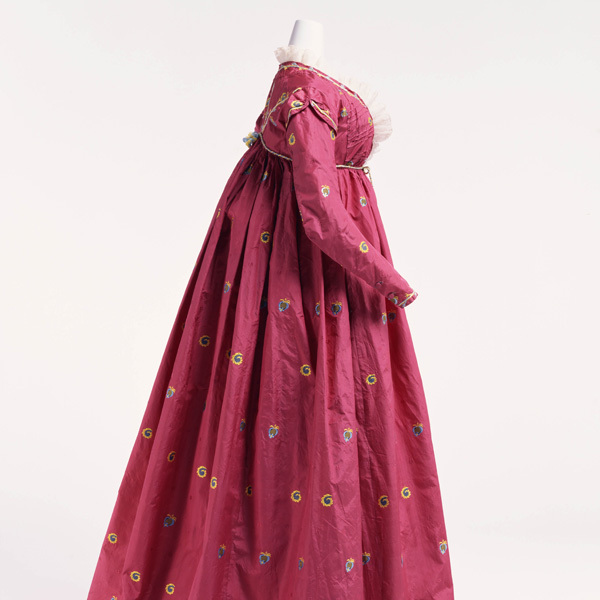 Just prior to the French Revolution, in contrast to extravagant court fashions clothing tended to be simple and comfortable, and stylish jackets began making their appearance. 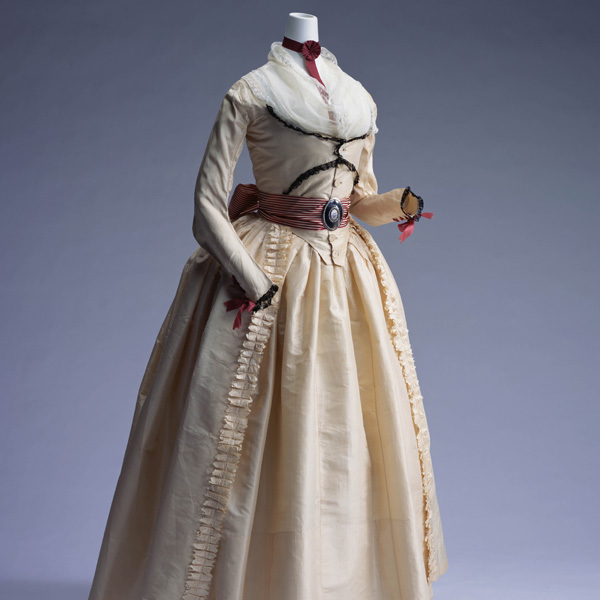 These jackets were worn with skirt of lightweight, white "linon", a woven cloth with a high linen-like quality made of thin and delicate cotton.